So I can’t hold it in about how excited I am about today’s post! One of my absolute favorite things to do is create a beautiful tablescape! My other new favorite thing is my Cricut Explore Air 2. I’m sure you’ve heard me talk about it a time or two the past six months! 😉 The thought of combining both of these things that I love together brings me pure joy! I had so many ideas going through my head on what I wanted to create for this tablescape and I ended up using only cardstock. Cricut has beautiful choices of cardstock and I’m loving the various glitter cardstocks. I started by making some chargers for my plates. I browsed through the Cricut Design Space looking for a snowflake that I could transform into a plate charger. I came across this fun candy cane design and thought it would look great with my china. I started by enlarging the snowflake so that it would fill up most of a 12×12 piece of cardstock. I then wanted to make a table runner for my table. I wanted to do a subtle tablescape so I used the 12×12 Glitter Cardstock in Colorful White. 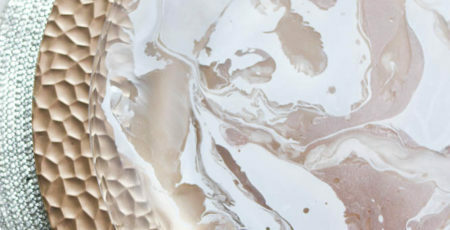 I browsed through image files on the Design Space and came across another beautiful snowflake. I cut out four of them and then attached them together to create a table runner for my table. Last but not least I wanted to add a small pop of color to my table. 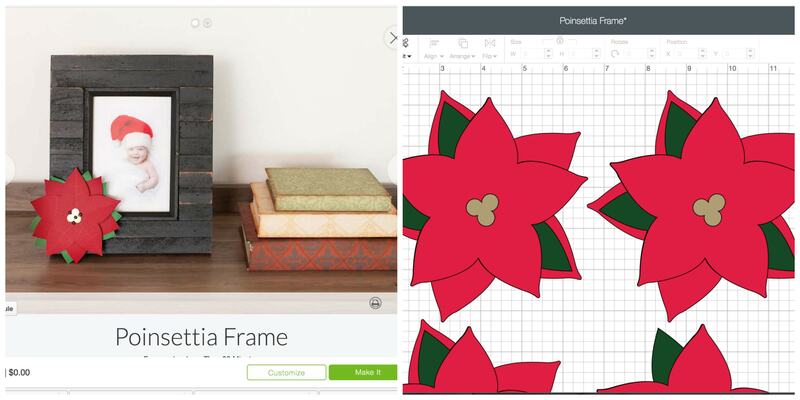 Again I started browsing through the design space and came across this Poinsettia Frame. I loved the poinsettia design so I clicked on the customize button and copy and pasted the poinsettia so I had a total of six. Once all the pieces were cut I used a hot glue gun to assemble them. Don’t forget to enter below for a chance to win your own Cricut Maker! I can’t wait to give this beauty a try someday! Thank you to Cricut for making my crafting dreams come true! The possibilities are endless with this little machine! I hope everyone is having a great week! Wow! This is an absolutely amazing idea! Looks very useful.I love the dining table decoration idea, also I love the dinner set! Thanks for sharing with us! Thanks so much Cristina! I love how it all comes together and is so pretty with the glitter cardstock!